Updated Wednesday July 4, 2018 by Soccer Operations Office. Buckingham United Travel Team Volunteer Options - The following volunteer roles are specific to your child's travel team. There is no buyout fee associated with your team. We have a Club wide fundraiser tournament called "March into Cups" that all members are expected to volunteer. Each team is expected to supply volunteers in various capacities for our annual MIC fundraiser. This tournament represents 60% of our operating budget for the travel program and helps to keep your club dues at an affordable fee. 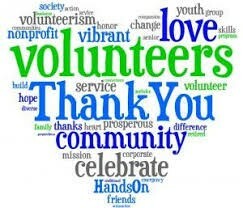 · A Volunteer Buyout during registration pertains to the Club Volunteer Opportunities only. · Separation of Team Leadership Roles (TLR) Policy The manager and treasurer role must be separate from the coach role. The coach’s spouse cannot fill a Team Leadership role. o The manager and treasurer role need to be separate from the coach role for several reasons. § These are three key roles that make decisions on a team. § Redundancy in leadership is key to effective leadership. § It's a good standard practice that is in the best interest of our members. o The separation of roles does not mean that the coach won't have a voice, it's quite the opposite and helps keeps all parties in check, working as a mini board of directors for the players and families on the team. These three roles complement each other with a segregation of duties and bring collaboration at the same time. o Our club recognizes that parents appreciate that not just one person is responsible for all team matters and it can give them other avenues of communication that could be necessary. Team Leadership Roles(TLR) – The Manager, Treasurer and Coaches are considered Team Leadership Roles. · All Coaches, Assistant Coaches, Team Managers & Treasurers are required to have all background checks and clearances. · Must obtain a cbaasports email address. Attend New Year planning meeting. A Head Coach (with the help of assistant coaches or team managers) is responsible for coaching duties associated with running a youth travel soccer team. These include coaching of players during practice sessions and at games consistent with the Buckingham United Philosophy and in accordance with Eastern Pennsylvania Youth Soccer rules and regulations. Head Coaches and Assistant Coaches should obtain an E coaching license or higher. Various Duties could include Stretch/Warm‐Up kids prior to games, substitution and game time play tracking. Attend Coaches meetings as needed. · The Manager must fill a variety of roles personally and should work in concert with other volunteers on the team. · The team manager serves as the general manager for the team organization, coordinating all the tasks that need to be done, making sure communications are clear to all affected individuals. · It is important that the team manager sits down early and often with the team coach and treasurer to assure expectations are clear and that any outstanding issues are clarified on a timely basis. · Many responsibilities have specific deadlines by which tasks must be accomplished so that the team can play. · Administrative tasks related to running a travel team such as team and league registration, dissemination of information, logistics of team competition and activities, and social events can be duties that are shared among other team parents. · The Treasurer responsible for all team accounting including collecting and depositing of team dues and fundraising money, paying team bills, recording of transactions against the team budget. · Organizes and maintains a bank account and financial records for the team for all monetary transactions. BUSC Volunteer Coordinator (full year) – responsible for assigning team volunteers and tracking team’s volunteer assignments and participation at the Club level. Community Service Coordinator (1‐2 per year) ‐ organize functions which the team will give back services to our local community or a charitable cause. Involve boys in the activity. Provide the Team with directions and map links to all away events. Fundraiser Coordinator (2‐3 per year) ‐ coordinate all team fundraising activities. Responsible for tracking individual fundraising contributions and communicating to treasurer. MIC Subcommittee. Attend MIC Committee or subcommittee Meetings and act as a team coordinator for communications and volunteer. Organize and track team shout outs, advertisements. Serving as the MIC Representative is in lieu of volunteering on the actual MIC Tournament days. Photographer (full year) ‐ take photos at games, practices, tournaments, social events and share them with team parents and the club and post on club’s social media pages. Submit newsworthy team successes to the club to publicize in newsletters and social media. Serves as a liaison for Safety and Good Sportsmanship. Promotes goodwill on the sidelines with opponents and team families. Acts as a host at home games welcoming the guest team. Liaison for positive Coaching education and Director of Conduct. · Weigh in on issues with your team’s league (EDP,ICSL,PAGS). · May be asked to represent the club at meetings (as needed). o ICSL has 12+ mtgs per year. Occasional Conference Call during season to go over any issues or directives. o Help at Player Pass night in July as an opportunity to help. o EDP and PAGS have 3 meetings per year. · EPYSA - Our State Soccer association is working on some initiative and improvements for our player and clubs. You may be asked your opinion as we gather important feedback.